Have you ever heard of niaouli essential oil? This wonderful essential oil is known to only a few but packs a considerable punch with pain-relieving, bacteria fighting, and decongestant properties. In fact, these are just a handful of the benefits associated with using niaouli essential oil. Keep reading for a detailed overview of this oil, its common uses, key safety considerations, and niaouli essential oil health benefits. Niaouli essential oil is sourced from the botanical Melaleuca Viridiflora, an evergreen tree that originates in Australia and the surrounding regions. It is known to be effective as an anti-rheumatic, analgesic, bactericidal, antiseptic, decongestant, expectorant, and stimulant, amongst a host of other benefits. Because it is such a strong antiseptic and disinfectant, niaouli essential oil is a popular ingredient in many cosmetic products like soaps, creams, lotions, and even toothpaste. Niaouli essential oil is made when the leaves and twigs of the botanical are steam distilled to extract the oily properties. It is comprised primarily of beta pinene, alpha-pinene, alpha phellandrene, gamma terpineol, linalool, limonene, cineole, and piperitone. Despite its many benefits, niaouli essential oil does not give off a particularly pleasing scent. However, its health benefits more than compensate for its aroma, making the oil an ideal solution for ailments like respiratory conditions, acne, and other skin infections. The scent of niaouli essential oil is intense, with earthy and camphorous undertones. The best way to reduce the pungent odor of niaouli essential oil and turn it into a more pleasing scent is by combining it with other carrier oils. Oils such as rosemary, cineole, eucalyptus, and tea tree are aromatically pleasing when combined with niaouli oil. Unlike certain essential oils which are enjoyed for their effect on mental health and wellness, niaouli oil has stimulating properties which make it a better selection to ease physical conditions instead. Niaouli essential oil has several primary uses. It is often used to treat illnesses, including respiratory disorders, the flu, bronchitis, sinus congestion, the common cold, cough, and sore throat. It is also a useful aid to treat uterine infections, rheumatism, rashes, acne, pimples, herpes, grazes and cuts. It reduces the duration and discomfort of muscular injuries, heals wounds, and serves as an effective insect repellant. As with any essential oil, there are important safety considerations to bear in mind before using niaouli oil. The oil should not be used by young children or infants, as it can cause irritation when brought near or applied on the skin of their face. Niaouli oil should not be consumed orally nor should it be applied topically without being diluted first. It can be diluted with water and other carrier oils like rosemary or eucalyptus. You should not use niaouli oil without first speaking with your physician, particularly if you have any pre-existing health or skin conditions at play. If you are pregnant, suffer from epilepsy, have liver damage, cancer, or any other health ailment, consult with your doctor before using niaouli essential oil. If you would like to use niaouli oil on children, read the dilution recommendations on the package to make sure you adhere to them. As a rule of thumb, if you have any pre-existing medical conditions, are taking medications that might interact with the essential oil, or you are considering using the oil on the elderly or small children, consult with a qualified healthcare practitioner before proceeding. The first benefit of niaouli essential oil is its ability to relieve pain. Serving as a strong analgesic, it reduces pain by causing a numbing effect on the nerves. This desensitizes the affected region, making the oil a useful supplementation option to ease headaches, earaches, migraines, toothaches, muscular and joint discomfort, and distress experienced from sprains. Another key benefit of niaouli essential oil is its ability to improve circulation. It enhances the circulatory function of the lymph and blood, inhibiting uric acid from gathering in the joints. This spreads warmth throughout the body, allowing individuals who suffer from conditions like gout, arthritis, and rheumatism to experience palpable relief. Niaouli essential oil functions as a potent antiseptic. Areas containing open wounds are ripe for infection, as they are a pathway for elements like microbes, fungi, and bacteria to get through. Bacteria are also found in regions of the body like the intestines, colon, prostate, urogenital tracts, and kidneys, resulting in widespread infection if it gets out of control. Niaouli oil impedes the growth of bacteria in these regions of the body, offering a tool to reduce the risk of tetanus, sepsis, and other organ infections. Along the same lines, niaouli oil is a powerful bacterial fighter, warding off infections and stopping bacterial growth in its tracks. 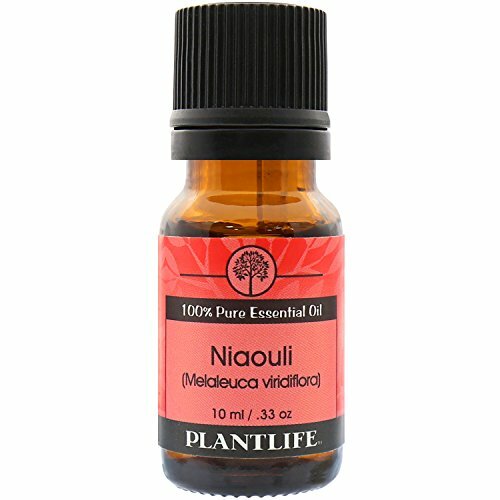 Niaouli essential oil increases nutrient absorption in the body, by stimulating growth and enhancing overall health. It helps your body to absorb better and disburse key nutrients, giving you more energy and strength. An effective cicatrisant, niaouli essential oil helps to fade scars and marks resulting from skin conditions like pox, pimples, and acne. If you have previously tried to fade scars with lotions or creams without success, niaouli oil could help you achieve healthier, more radiant skin. It stimulates tissue and cell growth in the scarred region. This enables the scarred tissues to be replaced with new, healthy tissue so the scars will reduce and fade completely. Niaouli essential oil is both a strong decongestant and expectorant. It can open the pathways in your lungs, larynx, bronchi, pharynx, nasal tracts, and trachea. This reduces congestion and helps eliminate phlegm that has gathered in those regions of your body. The oil also enables you to breathe with less effort and sleep better as your pathways decongest. Its expectorant properties make the oil a powerful tool to jar loose catarrh or phlegm buildup in the trachea, pharynx, larynx, bronchi, nasal tracts, and lungs. If you are experiencing a heavy chest, a bad cough, or congestion issues, the oil’s expectorant function will provide you with quick and lasting relief. Niaouli oil fights infection as a strong febrifuge. It can decrease your body temperature when you have a fever by warding off the infection causing the fever. This essential oil also helps your body to sweat and detoxify your system, breaking your fever faster and reducing the duration of your condition. On a separate note, niaouli essential oil is a powerful insecticide. Apart from insects like cockroaches and several other species, niaouli oil will ward off and kill just about any insect you can imagine. You can put the oil in a vaporizer or spray form to kill bugs and keep your home free from these unwanted invaders. Niaouli oil contains strong stimulant properties. It helps promote bodily functions like proper blood circulation, and enzyme and hormone secretion. Niaouli essential oil also improves metabolic function, strengthening your body’s excretive, absorptive, and digestive processes. This makes niaouli oil an effective aid to boost your immunity and instigate overall growth. Niaouli oil has been found to be useful to eradicate intestinal worms. It eradicates both tapeworms and roundworms. When worms invade the human body, it is not able to absorb nutrients properly. It is also unable to achieve regular physical and mental capabilities or growth when dealing with worms. Niaouli oil gets rid of intestinal worms and allows the body to grow properly. Intestinal worms are found more often in children than adults. If dosed with care, niaouli oil can be used to treat intestinal worms in children and eliminate them. Niaouli essential oil is renowned for its ability to promote wound healing. It not only helps your wounds heal in less time, but it shields them from bacteria and infections. You can apply the oil directly to the wounded region along with a cream or lotion to dilute it. Not effective for topical wounds only; niaouli oil can treat internal injuries, ulcers, and cuts. It stimulates the production of platelet particles and leucocytes in the infected area. This hinders microbes from gathering and disinfects the general region. Niaouli essential oil is an astounding powerhouse of health benefits. When diluted properly and used in moderation, it can do everything from strengthening your immune system to healing skin infections to protecting your body from insect bites. It can be used to treat rashes, acne, and abscesses. Niaouli oil works to heal the body, both inside and out with its strong antibacterial, antiseptic, decongestant, expectorant, and stimulant properties. Whether you are trying to treat a wound on the surface of your skin, fade scars from acne, or boost your immunity against illness, niaouli oil is an effective aid to accomplish all these health goals and more. Speak with your doctor if you have any questions or concerns before using niaouli oil.